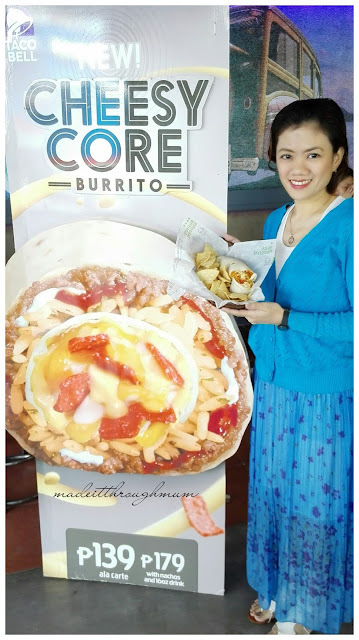 Recently, selected members of Certified Bloggers headed by Ms. Sol Razo, were invited at the launching of the Cheesy Core Burrito at the newly opened two- storey location Cyberpark Tower in Araneta Center, Cubao, Quezon City. What is Cheesy Core Burrito? Imagine a burrito with a melted cheese center, it features a "core" of a red nacho strips smothered with Taco Bell's signature three cheese blend and nacho cheese sauce wrapped in a flour tortilla surrounded by seasoned beef, Mexican rice, cool sour cream and red sauce wrapped into a burrito. 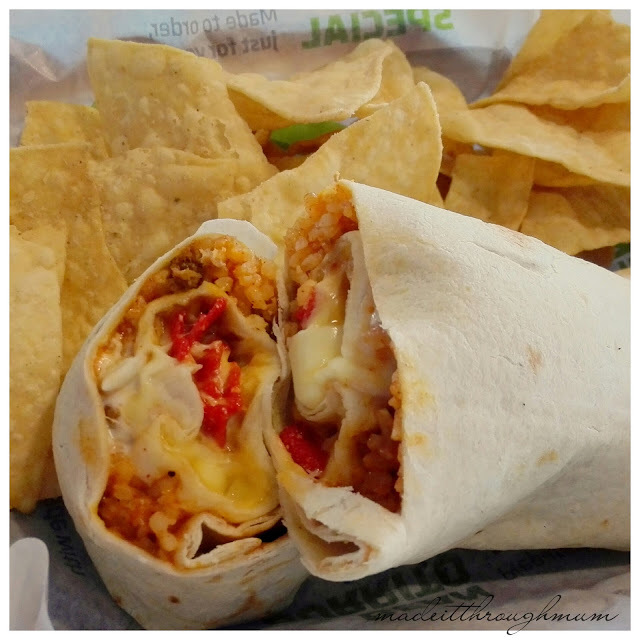 A mini cheese burrito stuffed inside a classic Taco bell burrito. That's what Cheesy Core Burrito is. Are you drooling yet? I AM! Already satisfying on its own, the Cheesy Core Burrito is available at P139 ala carte. You may also pair it with nachos and your favorite soda for only P179. For more information on the Cheesy Core Burrito and Taco Bell's latest offering visit Taco Bell's official website at www.tacobell.com.ph and follow their official Facebook page and Instagram, and the hashtag #TacoBellPHL across Facebook and Instagram.